Hello rhythm game fanatics and Kickstarter backers! 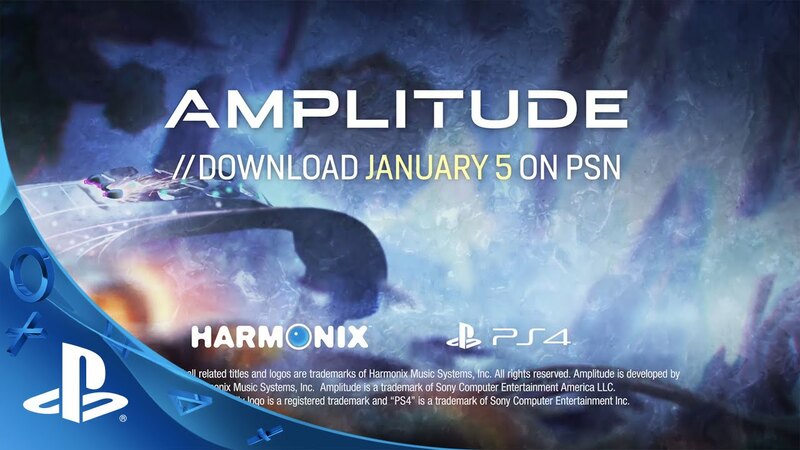 The PS4 version of Amplitude launches on January 5th, 2016 via PlayStation Store for $19.99. Harmonix rebooted this PS2 cult-classic music game with the help of Kickstarter backers. 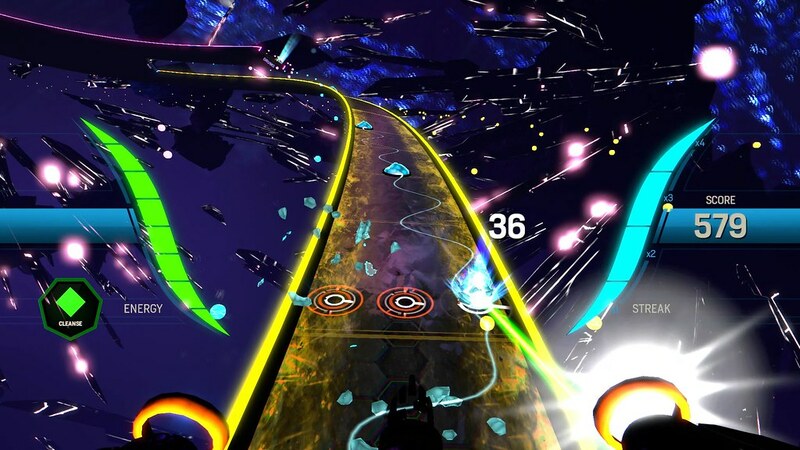 Amplitude is back with high-fidelity visuals, new songs, a sci-fi narrative, and more. 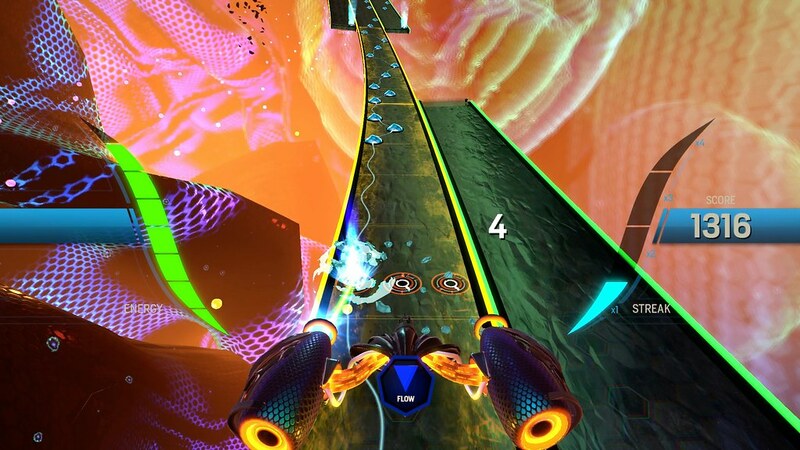 Amplitude features a single-player campaign along with competitive and cooperative local multiplayer modes. The campaign is presented in the form of a sci-fi concept album with a narrative that surfaces through the game’s visuals, music, and lyrics. There are also leaderboards available for bragging rights. With a soundtrack of more than 30 songs, Amplitude includes music from exciting artists such as Darren Korb (Transistor), C418 (Minecraft), Insomniac Games, and Freezepop, as well as songs from Kickstarter backers, and music crafted by Harmonix’s talented in-house composers. PlayStation fans attending PS Experience will be among the first to play Amplitude. Those who play the game at the booth will receive an exclusive dynamic Theme for their PS4 and an Amplitude trading card. More details can be found in Amplitude’s latest backer update! Will there be more songs as DLC and will MP3 music stored in Media Player app be compatible? There might be songs available as DLC later, but MP3 music stored in Media Player app won’t be possible to play. Amplitude doesn’t convert songs into tracks. They’ve created the tracks and nodes themselves. That’s why they’ve asked so many artists to write music specifically for Amplitude, since it would be easier to convert their songs to tracks. I like that for the music genre of games there is so much variety to choose from. Any chance that we are going to be able to preorder the game on PSN? I’m curious as to how dlc or music is going to be added later on. I’m looking forward to playing the new Amplitude! I’ve no idea who any of these artists are, escept Freezepop, but I’ve been a fan of this kind of game since Frequency and Amplitude on the PS2. Have also been excited about this one (sadly wasn’t able to chip in on Kickstarter). This might also help satisfy my music game itch until I can get an xbox one for RB4. Did the PlayStation 3 version get cancelled? Is is that coming at a later date? Thought it was announced for the PS3 a while back. Hmmm, now that you mention it.. In one of the posts they’ve did, they’ve mentioned that they would develop the game first for PS3 and afterwards for PS4 to lower the risk of compatible problems. Wondering what happened to that PS3 version then. While I like what I’ve heard of the soundtrack so far, here’s hoping for strong DLC support for this one in the future. Oh god… I’m listening to Phantoms on Spotify and I can tell that song is going to be crazy to run through. Crazy excited for this. The original Frequency and Amplitude are a couple of my all-time favourite games. I would not be surprised if this becomes Ps Plus bound. The signs are there. January 5 is the first Tuesday of next year. 20 dollars so it is cheap for them, etc. Good game for it though and will play. 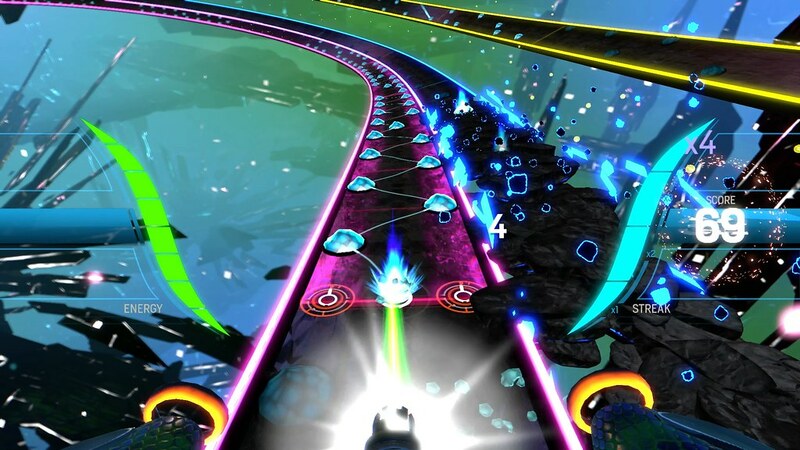 Harmonix is the most prolific developer of rhythm games next to Konami. They made Guitar Hero, Rock Band, and Dance Central so to see them take on a very low budget songlist is very shocking.